New to Blogger? Need to know the basics of Google's blogging platform to start your first blog? 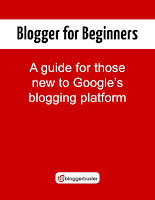 Blogger for Beginners is a free guide for those new to the Blogger publishing platform. From creating your very first blog through to customising the appearance of your site and publishing feeds, this ebook covers all the basic knowledge you need with detailed instructions and full colour screenshots. Why publish a book for "beginners"? After looking back through the 500+ posts here on Blogger Buster, I realised there was very little information for those completely new to the platform. Blogger's help site is very extensive, yet there is no single page or downloadable file available to help those who have just started (or would like to begin using) this service. So I decided to put a little time into explaining the very basics of using Blogger in much the same way as I explain more complicated tutorials on this site - using step-by-step instructions and helpful screenshots. I hope this ebook will be useful for those starting their first blog with Blogger, and those who may not have used the platform in a while and are unfamiliar with the new Blogger interface. Feel free to share offline with family or friends, or link to this page if you think your readers would like to download a copy for themselves. The PDF version of this ebook will always remain free to download here on Blogger Buster, though (hopefully) it will soon be available in other formats for which there may be a small fee. I'm also in the process of writing two more books about Blogger (details to be released soon) and feel it's in my best interests to retain copyright of this book in case sections are referenced in these future works. 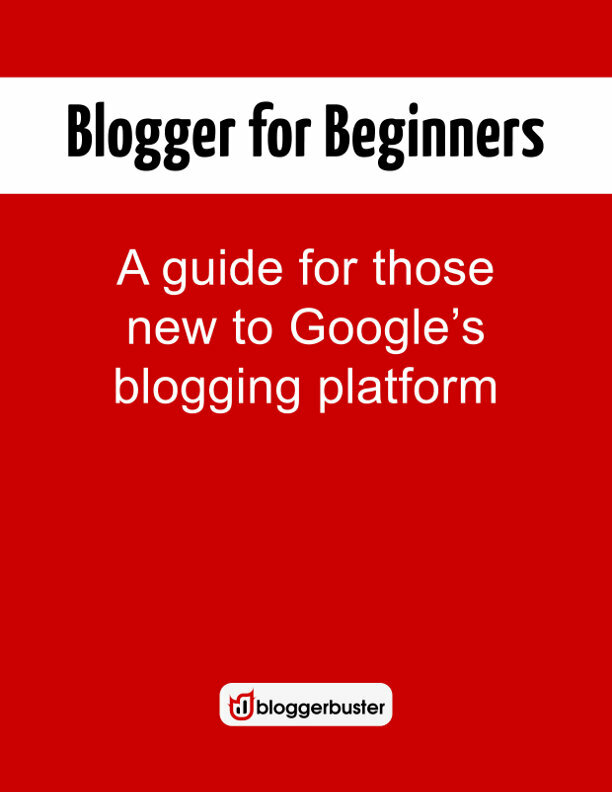 I hope you enjoy this ebook and find it a useful beginner's guide to the Google Blogger platform. Please feel free to share your comments and suggestions for future articles/ebooks in the comments section below.